Any more series to add? Question: Who isn't hooked on the most popular K-Dramas today? With the gripping storylines, adorable characters, and stellar cast, it's no surprise why recent series like Goblin and Weightlifting Fairy Kim Bok Joo have amassed fans. A lot of us are *OBSESSED* and for good reason! It stars a K-Drama goddess who never fails to amuse and an ~*extra*~ hot oppa who'll steal your heart. This drama didn't get much traction at first in the PH because the story slowly progressed and the cinematography is quite dark. The story revolves around a mysterious guy and a clueless girl who doesn't want to let her guard down. It shows just how frustrating it can be to date someone you weren't friends with at first, and it also shows how broken individuals find solace in each other. Can you relate? So. Much. Crying. That's what you can expect in this K-Drama. There were many lighthearted and kilig-filled moments, of course. Suzy Bae and Kim Woo Bin made sure their characters had the best chemistry. But what really hits home are all those times the characters looked back on regrets and happy memories alike. Cue the #feels! The whole story wasn't about how affairs destroy the bond of couples, but it portrayed the things that lead someone to cheat. When does that spark die between a couple? How do you revive it? How do you avoid it? How do you not lose yourself when you've been with someone for so long? 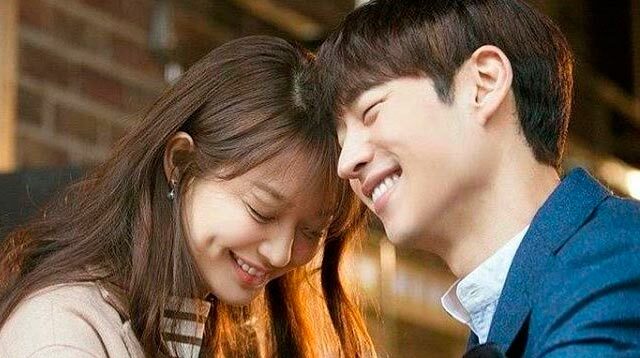 Let this K-Drama shed some light on your relationship. Of course, the whole series balanced drama and comedy while approaching this sensitive topic. Even if you can't relate, you'll find it entertaining to see the characters go mad, whip out their hugot on toy cranes and on social media, and even fall apart because of all the #trustissues. Any introvert would find this show BRILLIANT. All the references to the social anxiety (even phone phobia! ), awkwardness, and self-deprecation of introverts are spot on and blown up to epic (read: v v entertaining) proportions. It's perfect when you want to overcome the hassles that come with being an introvert but celebrate your shy, self-preserving personality nonetheless. Watching the series is also the best way for anyone to finally understand why introverts are that way. They We, actually, might seem weird, but we just think differently. It's nice when people peel through that layer. Please Come Back Mister for anyone who wonders what it's like to live the life of another. Missing 9 for those who want a break from rom-coms and would love thrillers for a change. Reply 1988 for anyone interested in seeing the The Breakfast Club set in the '80s in Korea and infused with exciting plot twists. Rooftop Prince for those who a want a hilarious, refreshing take on period drama characters. Emergency Couple for those considering getting back together with an ex (and for fans of the OG Running Man love team, the Monday Couple Ji Hyo and Gary). This one is for those who want a two-hour movie over a 16-episode series for a change. Plus, you get to see the beautiful Han Hyo-Joo paired up with several oppas (and unnis!) including Park Seo-Jun (that lead guy from Hwarang and She Was Pretty), Lee Dong-Wook (Grim Reaper himself!) and even Park Shin-Hye! Lucky girl! It will make you realize how you really fall for someone's personality—not his or her looks. And at the end of any trial, love wins. No matter how many things change in your life, true love will be your constant. Fair warning: Don't watch this in public (e.g. on a plane like I did) because the struggle to stop ugly-crying is v v real.